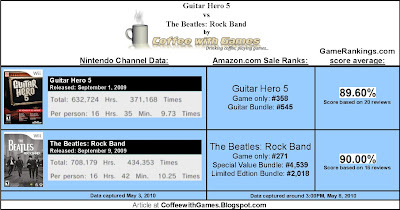 In September 2009, console owners were given two pretty big music rhythm games to decide between, with Guitar Hero 5 and The Beatles: Rock Band releasing within 10 days of each other. Would console owners stick with the tried and true franchise from Activision, and purchase Guitar Hero 5? Or, would they take a ride down memory lane, and purchase EA's The Beatles: Rock Band? It was last October, when I first recorded the game-play data for both Guitar Hero 5 and The Beatles: Rock Band. When I was closing out the original data post for both games, I said, "Again, I'm surprised to know The Beatles: Rock Band has accumulated more game play hours and has almost 1,000 more people reporting data, than Guitar Hero 5." Well, it has been more than 6 months since I showed the data for both games. Are Wii owners still playing The Beatles: Rock Band, more than Guitar Hero 5? Guitar Hero 5 has 38,146 players reporting data on the Wii's Nintendo Channel. The Beatles: Rock Band has 42,375 players reporting their play-time data. Guitar Hero 5 has added 31,454 more players, since its data was first recorded on October 26, 2009. The Beatles: Rock Band has added 34,759 more players, since its data was first recorded, also, on October 26, 2009. Guitar Hero 5 has 632,724 Total Hours reported, an increase of 545,777 hours from its first debut. The Beatles: Rock Band has 708,179 Total Hours reported, an increase of 616,724 hours from its debut. 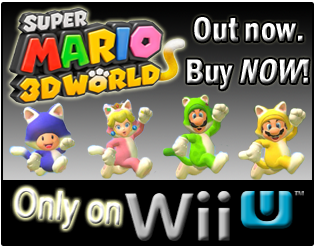 The "Game only" version is ranked #358 and the current selling price is $22.32. The "Guitar Bundle" version is ranked #545 and the current selling price is $89.99. The "Software only" version is ranked #271 and the current selling price is $27.99. 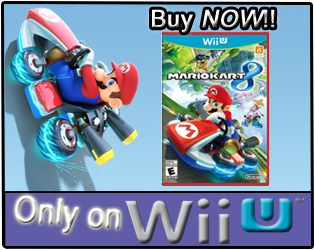 The "Special Value Bundle" version is ranked #4,539 and the current advertised new selling price is $339.99. The "Limited Edition Premium Bundle" version is ranked #2,018 and the advertised new selling price is $429.00. Guitar Hero 5's review score average is 89.60%, based on 20 reviews. The Beatles: Rock Band's review score average is 90.00%, based on 16 reviews. I am surprised that both games are still relatively close to each other, in terms of game-play hours and the number of players reporting data. I would have thought from the original data, that The Beatles: Rock Band would have pulled a little further ahead from Guitar Hero 5, than it has. I don't own either of these games. I don't own any music games, from the Guitar Hero franchise, or the Rock Band franchise, but I have played some of the Guitar Hero games. Do you have a preference to either of the franchises, Guitar Hero or Rock Band? If you have played both Guitar Hero 5 and The Beatles: Rock Band, which one do you prefer more? Based off just these two games' data, I would say that Wii owners prefer The Beatles, more than Guitar Hero...just slightly though. I'm split down the middle on your first question. Each franchise has its benefits. GH has better instruments and IMO better gameplay. Rockband has a much much better DLC content and user interface. On the second question, I would still have to go with GH 5. I'm just not a huge Beatles fan. Fun but I like to have variety when I play a music games. I wonder about Guitar Hero World Tour Vs Rockband 2? I remember reading about GH5's online play, and that they got rid of the friend codes use. At least, that's what I think I read, and it seemed people were really happy with it. I didn't compare Guitar Hero: World Tour and Rockband 2, because I didn't have any initial data for them, like I did for GH5 and TB:RB. Also, GH5 and TB:RB were released almost 2 months apart, but I may do that for a "flashback" comparison in the future. BTW, it's been great monster hunting online! GH5 did get rid of friend codes. Instead it pulled your Registered Wii Number list, so you didn't have to add a friend code again to play with the friends you already have. The best part of the online mode is that you can have anyone (friend or strangers) join your game no matter what game mode your playing. Yeah man. We'll do so more hunting soon. Den and I always need a 3rd or 4th hunter.